Gravely ill puppies rescued from house fire surrendered to San Antonio Pets Alive! Veterinarians are running tests on the puppies, who were exposed to extreme smoke exposure and could be at a "high potential" for other medical conditions. The owner of a home that caught fire on the South side Wednesday was fortunate to be out of the house when the kitchen erupted into flames; her several dozen animals trapped inside were not so lucky. 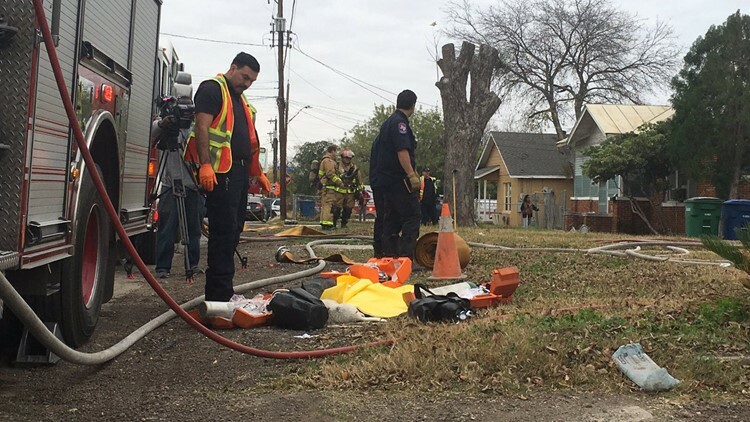 Firefighters with the San Antonio Fire Department worked hard to rescue 18 dogs and several cats from the house, but two dogs were killed in the fire, and three puppies were gravely ill and needed resuscitation from crews at the scene. San Antonio Pets Alive! says that the owner has surrendered the three puppies to the organization. According to SAPA!, veterinarians are running tests on the dogs, who were exposed to extreme smoke exposure. SAPA! also believes that there is a "high potential to find other medical conditions," such as Parvovirus, in the animals. The nonprofit says they are accepting donations to help cover the expenses and medical costs of the puppies. The remaining dogs were surrendered to Animal Care Services, according to SAPA!.